Most consumers automatically assume that they will have electrical power, even if the electrical grid fails. 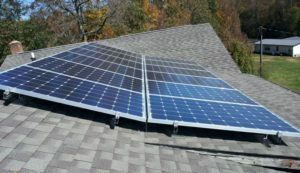 Do you Lose Power with Solar Panels Installed? The quick answer is that it really depends on your installation and whether you have battery back up or not. Before you spend any money on solar panels, consumers need to review their objectives and decide what features are most important to them vs. their budget. Do they want emergency power that automatically switches on for them in a power failure.? Or do they just need to save energy costs and use solar power all of the time. There can be large differences in each installation and the associated cost of these systems. 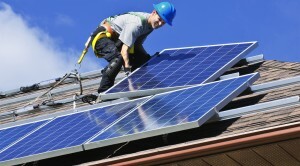 Many consumers are interested in saving money by having solar power system. Their system will generate electricity during the day and feed it back into the grid. This will not only save them money but it will also generate income for them whenever they generate enough to feed into the grid. When the power grid fails, the solar power system also shuts off. This is necessary to protect repairmen and avoid electrocution. As a result the homeowner is also without power in this situation! Most consumers do not install batteries with their solar power system. There is an approximate 30% additional cost to install battery backup. Anyone who really needs backup power for medical or business needs will take this option. When the power grid fails, the solar power system will disconnect from the grid and continue generating power to feed the batteries. They in turn feed the homes electrical requirements. Something to consider when you make decision to purchase a solar power system. For more posts about solar power, costs and benefits, click here. With wind mills and solar panels becoming increasingly popular, many investors as well as company managers are wondering what the solar power impact on the grid will be. We see solar panels appearing all over the country. Wind mills are popping up in a variety of locations. To the uninformed, it looks like there could be a significant impact on the grid. However stop for a minute. Consider all of the homes and businesses that are powered by the nations electrical generation plants. These are massive sites, generation millions of kilowatts of power. What is the impact today on the grid? Almost nil! We were able to find several charts that put this in perspective. For the year 2014, wind turbines generated 3% of the world’s power needs. By comparison solar and tidal wave generation amounted to 1%. Coal is by far the largest at 39% and of course produces the most pollution. Will these numbers shift over time? Of course, but it is going to take time. Perhaps as much as 20 years before there is a sizable change. In the United States, coal is still at 39%, with natural gas at 27% and nuclear at 19% of the total generation requirements. Solar is down at .4% and wind at 4.4%. Other countries are making advances and attempting to begin the shift from greenhouse gas causing power generation to renewables such as wind and solar. The real driver for many energy companies facing historic demands for electrical power will be growth in the wind and solar areas. Whether these are large corporate driven power plants or individuals installing their own windmills and solar systems and attaching them to the grid, much of the growth needs will be taken up by these new forms of energy generation. The real impact on the grid is not how much power is generated. Instead it will be making sure that the power coming from these small localized systems is clean energy without interference that can cause damage to sensitive computer and monitoring systems. Strict guidelines and standards will be required to ensure that this phenomenon is successful over the long term. Dream of going off the grid and saving thousands of dollars! Not so fast, it is a little more complicated than it would first seem. For example, some states actually have laws that make it illegal. We are not sure what the rational is. But we suggest that you check first before making plans to go off the grid at your home or cottage or cabin in the woods. Secondly if you are expecting to save money, it may take longer than you planned. This is based on the economics of what you pay currently for electricity and how much your system will cost. Don’t forget to add in the cost of special appliances, lights etc that will be needed when you go off the grid. You can can use an inverter to convert from DC to AC. However your system is less efficient when you do this. Either way you will spend more money on solar panels or appliances so don’t forget to include these. Unless you really don’t care about the cost or how long the system will take to repay itself, do the math. So that you know what you are getting into in terms of total cost and how long it will take to pay for itself. Some people don’t care because the cost of bringing an electrical line into their cabin or cottage is prohibitive, leaving no alternative but a solar or wind or both generation system complete with batteries for backup and storage. If you live in an area were you do not get full sun all of the time a wind generation system might be considered as a back up for those cloudy rainy days. You can generate power at night with a wind turbine with the wind blowing. Your electrical system consultant should be able to provide you with some guidance in this area as well. Don’t forget that the neighbors might object to a wind turbine marring their view if they live close by. These are some of the practical issues to consider when you go of the grid. Do you need a solar system installation permit for your new system? The answer is probably yes on several fronts. The company you are purchasing the equipment from and doing the installation for you should know this. They should also help you with the preparation of the applications. As well as any inspections that may be required. This should be part of the service package that is offered. There are three areas as a minimum that are required depending on the city or county that you live in. All of these permits have their own specific requirements. A lot depends on whether you are attaching your system to the electrical grid or not. As well as whether you plan to sell power back to the electrical company or not. Construction permit to make major changes to your roof – most cities and towns require construction permits if you plan to make any major changes on your property. It is really a way of increasing taxes, but it also ensures that all construction adheres to local bylaw requirements as well. Electrical installation permit and inspection – all electrical installations of any kind need to be inspected before they are turned on. This is to prevent fire and avoid any safety hazards from improper installations. The permit process gets the ball rolling. 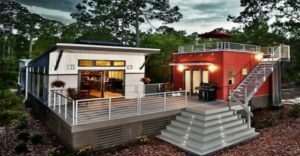 Connection to the electrical grid – if you plan to connect your system to the electrical grid will you sell power back to the electrical company that provides power to you? They will want to inspect your system. They also will demand that specific safeguards are in place to protect you and them from power surges. As well as from transient currents and insure the quality of the power being provided. Avoid surprises. Avoid unnecessary delays. Apply for all of the appropriate permits before you begin installation and actually before you spend a lot of money on equipment. Why is it that we cannot easily purchase solar panels that plug into electrical outlets to generate electricity? We are not actually sure. But there are a number of areas that we believe contribute to the situation and until the costs of solar panels change, it is not likely that we will see a disruptive change to electrical generation in the near future. We have listed a number of areas that need to change to enable this disruptive technology to really have an impact. We are going to do more research on all of these areas, but this is our first foray into this subject area and reflects what we have initially found. Your comments are welcome. Basically at this time the cost of equipment makes it prohibitive to invest in this technology for consumers. The amount of money you might save is insufficient to cover the cost of buying the inverter, the panels and meters you need to measure your savings. Solar Companies are looking for large contracts to install and operate solar farms. Solar installations are roof mounted or mounted on large pedestals. The economics are just not there. The initial up front cost for the equipment has a very long payback for this equipment. It does not make sense from an investment perspective. There are people who are developing the electric vehicle, again large companies aiming at the large retail market. But so far there does not seem to be any entrepreneurs that are aiming at the retail markets. We need the costs of solar panels to drop significantly for this to happen. Apparently Tesla is planning to build a large solar panel factory in the US that will bring the costs down. Perhaps this will be the disruptive step that will bring a disruption to the huge electrical generating business. The DC to AC inverter converts the DC electricity into AC electricity. AC Electricity is the kind of electricity used to power the appliances in your home.This web site is aimed at finding solutions for consumers to use in their homes and one of the first things we have come to realize is that it is not easy to find solutions that are easy to find and easy to implement. One web site we read compared buying a solar solution to buying a car. Would you design the engine, the transmission etc or do you go in and purchase a car with a few identified options that are easy to figure out? The latter of course and that is one of the things that is currently wrong about solar panel solutions. Most consumers do not understand anything about kilowatts, power, current, converters from DC to AC and so on. What is needed in the industry are solutions for customers to chose from. Perhaps standard configurations that deliver solution’s that consumers and homeowners are looking for. In much the same way that a furnace is sold with sufficient heating capability for a 2500 square foot house, a solar panel installation should be sold in such a way that an installation could replace all or a percentage of your power usage. I have no idea nor do I really want to try and figure this out. Even if I was given a formula to use, the average consumer like me is not going to be confident that they are making the right calculations. What are my alternatives? Hire an expert which costs money as well and I am still not sure what the final solution is that I need. Just look at the picture on the right with all the different sizes ! With such new technology you can be sure that what you buy today will be updated and changed within 6 months. How would I mount these on the roof and is this the right location to put them in? What is the optimum direction to face them towards and do I need to clean them once and awhile or are they maintenance free. I really do not want to get up on the roof very often to clean these things. I can only assume that dirt and grime that accumulates on the surface will cause the amount of power they generate to decrease over time. What is a DC to AC Converter? The DC to AC inverter converts the DC electricity into AC electricity, the kind of electricity used to power the appliances in your home. This is the same power that you can sell to the commercial power provider in your area or at least this is what many web sites say. Were should this inverter be installed; are there any cooling requirements; special mounting requirements; electrical inspections required; approvals from the company providing power before you can connect to the grid? Devices such as these come with various power capacities . What size do I need to accommodate the amount of power that I am generating? This is an example of a component that must be sized to fit the system that you are installing. Apparently using an optional charge controller with a DC circuit breaker is required to manage the charging of batteries that can be used for backup purposes. The controllers use DC power from the solar modules to charge the battery bank. Do the controllers protect the batteries against overcharging and what happens at night? Will the batteries then discharge back through the solar panels? This were the solution issue really comes to a head. What problem am I trying to solve? Solar power generation for backup in case of electrical system failure? Depending on the answer, I will need batteries especially for the backup solution. You have to have something to store the power in if you want a backup solution and that usually means batteries somewhere in the basement to be designed, sized, purchased and maintained! Who wants that in your home? This is not an easy thing to install. First you must install the solar panels somewhere. They usually go on the roof, which means you risk roof damage. 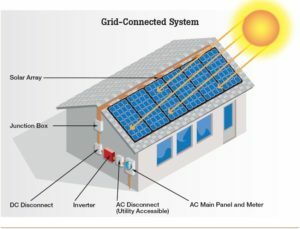 Wiring and cabling must then run down from the roof to the basement or wherever you are installing the inverter, the batteries and perhaps connecting to the electrical grid. The wiring must be installed and inspected by an electrician, while the roof installation should be installed by experts who are not going to wreck your roof. As we research this topic to find out more information, it is obvious at this time that the solar generation solutions for consumers is just getting started and there are not a lot of simple solutions for the average consumer. We have not factored in prices as of yet, but since the industry is still in it’s infancy, this usually means that prices are not anywhere near commodity type pricing. Comments are welcome and help with finding solutions for consumer related installations. for posts about solar power solutions, click here. There are many new solutions that are coming onto the market that provide solar powered outdoor security lights for consumers to provide lighting in situations were it is just too expensive to provide regular wiring and pay for the electricity to run the lights. This can be a very economical solution compared to hiring an electrician and paying for installation of regular lighting. Other consumers are only interested in providing a decorative solution to line garden walks, to provide a dim light to help people avoid going off a sidewalk or just for pure decoration. Some sit on top of posts like the one shown on the left, while others are stand alone and come in a multitude of shapes. They have spikes that allow consumers to place them into the ground just about anywhere as shown below on the left. Both of these pole mounted and stand alone along the grass are charged during the day and provide light during the dark evening using this same power as the batteries discharge. These lights pretty much all work the same way. They consist of a solar panel that generate electricity, there is a rechargeable battery to store the electricity that has been generated by the solar panel and there is the light. The light is usually manufactured using LED’s to generate a bright enough light for any given situation and draw so little power that a small rechargeable battery can power one of these lights for the entire night. This type is usually decorative and are provide a nice effect when they line a garden path or outline a fence along the edge of your property. They save money in the sense that it would be quite expensive to duplicate the same thing with standard lighting powered by an electricity system. There are other types of lighting systems that provide more security for homes and businesses. These are larger systems that generate more electricity, have larger storage batteries and brighter lights, some with motion sensors and some that just stay on all night. These security lights are ideal for situations that have lots of sunlight and are difficult to get to in terms of electrical wiring. They can be installed almost anywhere that you have access to sunlight for a period of time long enough to charge up the battery and the only cost you have is the initial system cost. There are no ongoing electrical power costs. These systems also use LED lights which give off a bright light without generating a lot of heat. This makes them very efficient and allows the battery to last a long time. Many systems are configured this way to enhance the use of solar panels and LED’s as a practical means of delivering light in locations that otherwise would be dark. Not having to introduce permanent wiring saves a great deal of money and also eliminates electrical usage. These are perfect for cottage use, the side door of a home and even in the backyard where it would be difficult to introduce electrical wiring. One couple we are aware of only uses solar powered lights for their cottage and they have several similar lights around the outside of their cottage. the light and the solar panel can be mounted on a roof or post or even the side of a house a few feet away were there is more access to sunlight during the day. 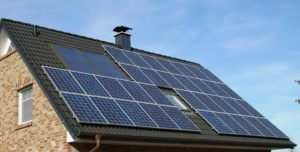 There are many solutions such as these for consumers to consider in using solar power to generate light and minimize the impact on the electrical system. We have talked about using these kinds of lights for home use either in the backyard or around the side of the house to provide a security type light or to illuminate the back yard. Campers, RV owners and Cabin owners have long found that solar powered lights are a great way to make their excursions more comfortable. Although these smaller systems are only suitable for one lamp, they help to provide light in mobile situations and locations without any electrical power. Larger systems are available to power lights in an RV for example, to charge up batteries during the day for use at night and to reduce the load on electrical generators. Before purchasing solar panels for this kind of application, it is best to design a system based on need and application. In other words how much electrical load do you have in terms of lights, TV, fridge etc, how many batteries do you need and how many solar panels of a given size do you need to hook up to ensure the batteries are fully charged in a single day. We will talk more about these in a future post, however we wanted to introduce this subject in this post as part of our solar panel security light discussion. Regardless of the application, consumers should go through this process of estimating the power needed and then design a system to deliver this power. This is the only way to obtain and idea of cost and equipment needed to meet your needs. Otherwise you may end up frustrated due to the cost or the lack of sufficient power. More to come in this are , comments are welcome.